With rebates, you can get a free or discounted thermostat that reduces your energy usage and monthly bill. But because rebates can be confusing and difficult to find, most customers don’t know how to get a smart thermostat rebate. Let’s find out how. It’s really not that difficult to get a rebate, you just need to carefully follow a few steps. Find out if your location is eligible for rebates through your local city website or utility company. Find out which specific thermostats are eligible for a rebate locally and read the fine print! Sometimes there are specific eligibility dates or qualification requirements. Buy your smart thermostat on Amazon or elsewhere. Submit an online or paper rebate application, including proof of purchase such as your itemized receipt for the purchase, manufacturer name, model, serial number, and other details. Follow the steps carefully to make sure you get the rebate. Receive your rebate check in the mail! Rebates typically range from $50-$100, but some go even higher to cover the entire cost of the thermostat. Since the growing list of cities and states with smart thermostat rebates is constantly changing, your best bet is finding out directly from your utility company if a rebate is available by calling them or Googling your city name with the phrase “programmable thermostat rebate.” If that doesn’t give you any answers, here are a few lists of cities and states with rebates, with information to help you find out how to get a smart thermostat rebate. List of programs with incentives for programmable thermostats. 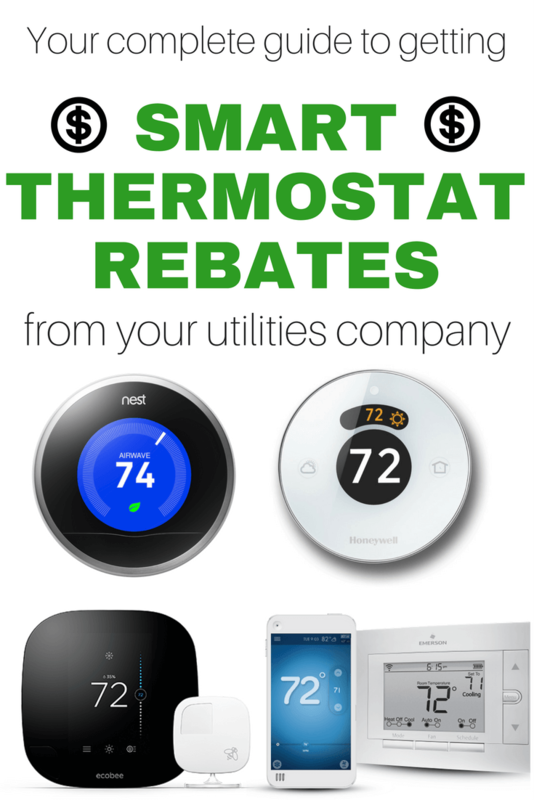 ThermostatRebates.com is a helpful tool that has local rebate information for Nest. 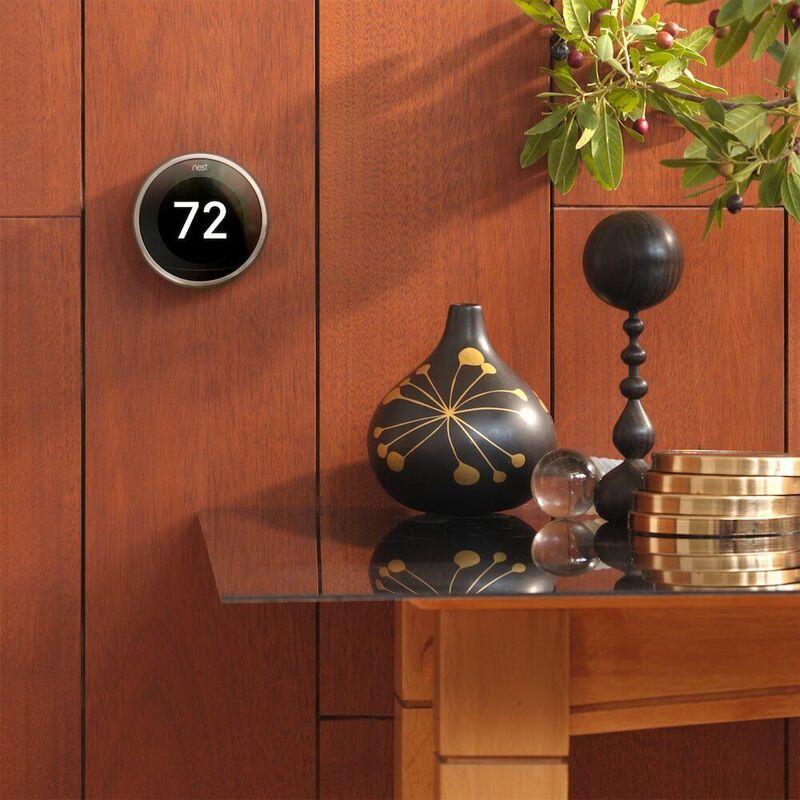 What’s your favorite smart thermostat? After you find out if you can get a rebate in your state or town, the best way to figure out your rebate options is to look at information from the manufacturer; that’s why we organized this blog by thermostat brand names. If you’re not sure where to start, check out our best smart thermostat comparison or our article Sensi vs. Ecobee3 vs. Nest. Note that not all cities provide rebates for all smart thermostats. For instance, ThermWise Power only offers rebates for Nest and Ecobee3. Even then, the earlier models of those brands are not eligible for rebates. Get the specific details from your local city or energy provider. Here is a link to find out how to get a smart thermostat rebate from Nest. They also show rewards and other saving bundles. Instead of only displaying applicable rebates, Nest offers deals through third-party providers like Vivint, ADT, Liberty Mutual, and TotalProtect. These deals give things like a free thermostat or Nest Protect in return for new contracts. 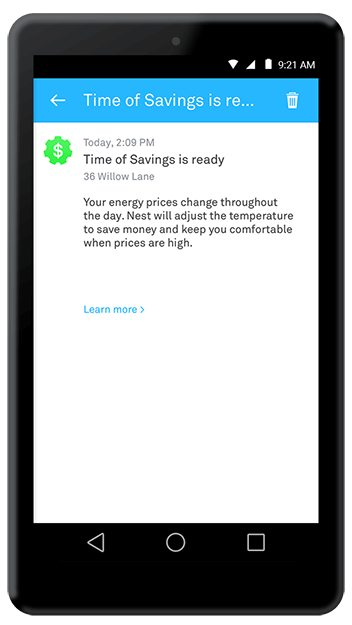 Nest has two additional programs for working with utility companies and adjusting your usage based on data from them. Nest offers Rush Hour Rewards in some areas, which lets customers get paid by their energy providers when they use less energy during peak usage periods, such as a heat wave. What’s nice about this option is that after signing up, you don’t really have to do anything to qualify for the rewards. Nest automatically turns down your heating or cooling when demand on the electrical grid is high. Other demand response programs require you to manually change your thermostat during peak hours, or they control some of your high-usage appliances like the air conditioner or dryer. Of course, Nest still keeps you comfortable; it doesn’t completely shut off. If you ever feel a little drafty, just change the temperature manually. The program works both during the winter and summertime, although some areas only offer rewards during one season. Incentives for Rush Hour Rewards range from sign-up bonuses, a free Nest, credit on your electric bill, or payments per hour based on how much energy you would normally use. Sign up for Rush Hour Rewards here. Time of Use plans are very common among energy companies; they set different prices throughout the day, with peak pricing in the afternoons. Of course, this is super difficult to keep track of, which is why Nest takes care of it automatically by integrating with your energy company. Anytime Nest displays a green gear on its display, that means it is tweaking the temperature one or two degrees to help you save money. When prices drop in the evening, your energy returns to its normal schedule. 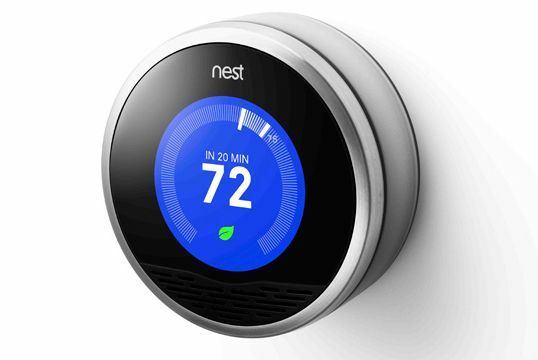 Nest’s Time of Savings takes several factors into account when adjusting for peak pricing. For example, it monitors the weather, you current location (i.e. whether you are home or away), and your temperature schedule. Time of Savings is automatically activated on new Nest devices, but it won’t start working until it learns your schedule and preferences, which usually takes a few weeks. Read more details about Time of Savings here. While the other smart thermostats do not offer programs for Rush Hour or Time of Use, they may offer an applicable rebate in your city or state that Nest doesn’t. 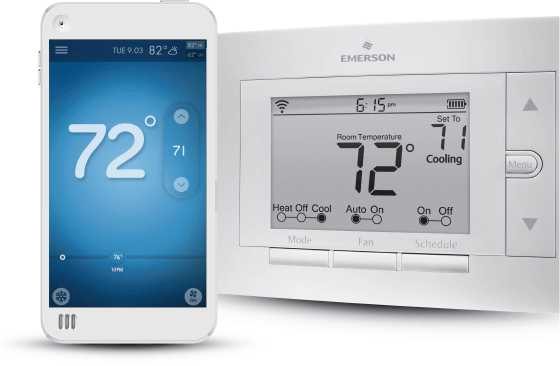 Additionally, these thermostats have their own feature benefits that set them apart from Nest. If your area isn’t qualified for some of Nest’s additional programs listed above, then these thermostats may be the way to go if they are cheaper or offer more functionality. To find out how to get a smart thermostat rebate from these other thermostat manufacturers, read on. Here is a link to Ecobee’s Rebate Finder. 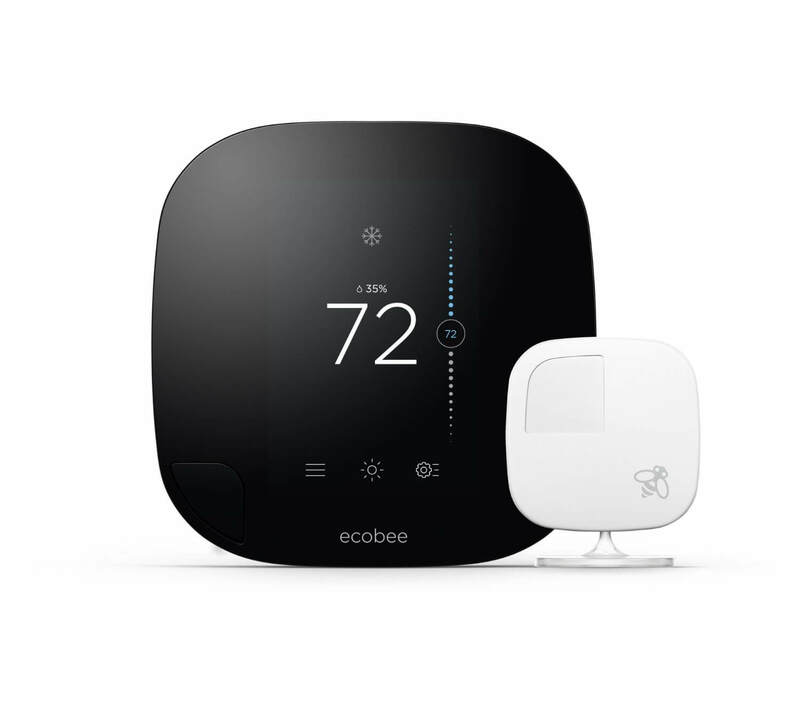 While Nest was the most popular thermostat initially, Ecobee3 is quickly becoming just as well known. Sensi thermostat has a rebate checker on their website. One of Sensi’s best selling features is its significantly lower price, while still offering excellent features. 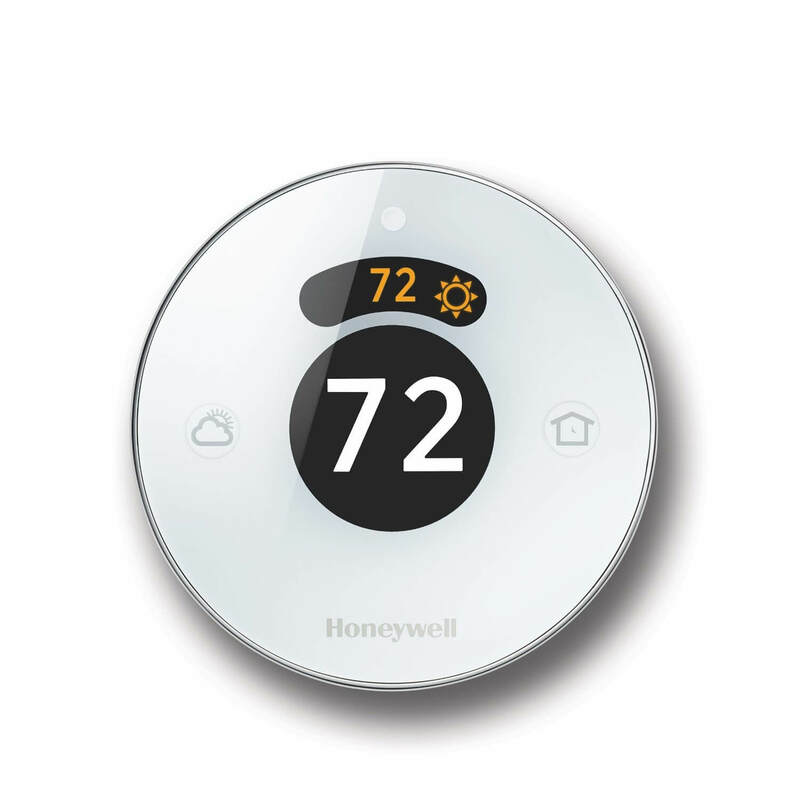 Honeywell Lyric Round smart thermostat offers a rebate checker on their website. While my city didn’t qualify for most rebates, I was surprised to see that it did qualify for a Honeywell Lyric rebate. As far as I can tell, many of the same rebates available for the Lyric Round are also available for the Honeywell RTH9580WF1005. Here is another link to the rebate checker on Honeywell’s homepage, in case its database is different from the one on Lyric’s website. Hopefully this information is helpful as you find how to get a smart thermostat rebate. Of course, each of these thermostats also provide savings through tiny, daily adjustments. When integrated with IFTTT (If-This-Then-That) or other geofencing options, the thermostats can automatically adjust to an energy-saving mode when you leave your home for work. When you begin your commute back home, the thermostats adjust back to make your house comfortable for your arrival. These small changes result in big savings in your monthly bill. Your smart thermostat can easily pay for itself with savings, and getting a rebate just makes it pay for itself faster.